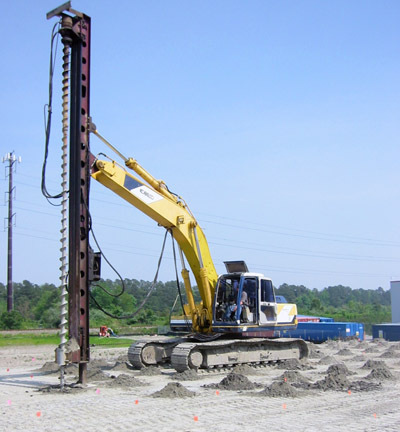 TerraSystems utilizes drill rigs in our Terrapier operations and in our wick drain operations. Our Terrapier drills routinely drill holes of up to 36 inches, and have the power to drill holes up to 72 inches in diameter. 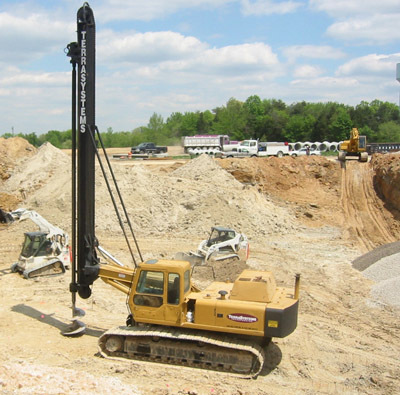 The maximum drilling depth for our Lodril rig is 40 feet. 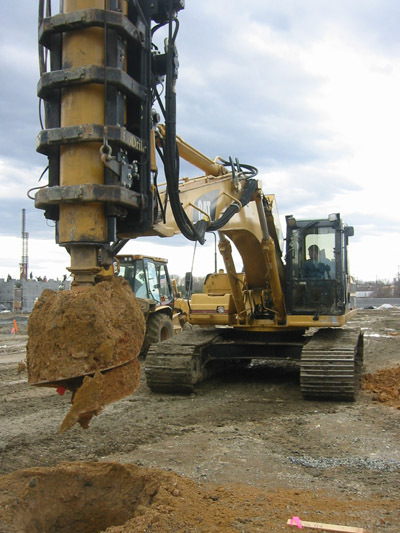 TerraSystems also uses drill rigs to predrill stiff soils for wick drain installation. The augers for these drills are generally 8 inches in diameter and have a maximum drill depth of 25 feet.